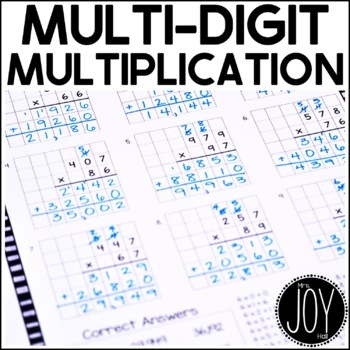 This resource begins students at 2 x 1 multiplication (with no regrouping) and gives them tons of practice through 2 x 2 multiplication (with regrouping). All problems are on grid paper, giving beginning or struggling students much needed help with spacing and number placement. 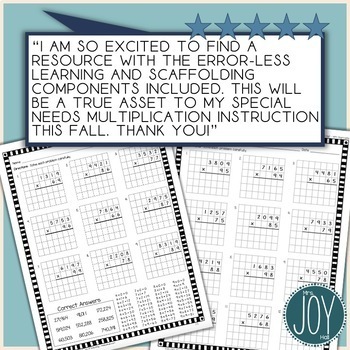 This now includes options for scaffolding and error-less learning so that all students can be successful! ALL problems are on grids. There are pages with the correct answers at the bottom as well as the multiplication facts required to complete the problems on that particular page. 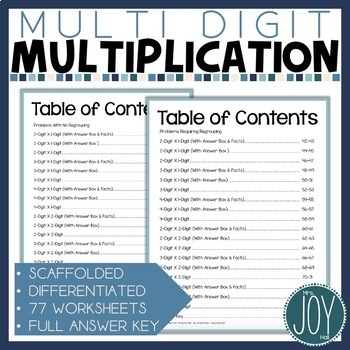 Mighty Multiplication eBook – 2 x 1, 2 x 2, etc. Please contact me with any questions. Oh, and I LOVE positive feedback! 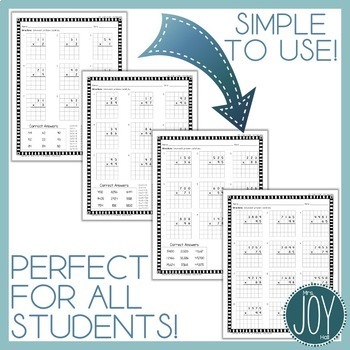 Come and visit me at my Teachers Pay Teachers store, my blog, Joy of Teaching, and my Facebook page!